Ayurveda workshop at Snowflake Festival in Winnipeg! Through an emphasis on addressing an individual’s physical, mental, and emotional aspects, Ayurveda is a traditional healing method for achieving wellness and harmony. Considered the sister science of yoga, it offers the methods to guide our path towards inner healing in a way that is sustainable, rooted, and holistic. One of the most important principles of Ayurveda is that of balance; one aspect of balance is the interplay between ourselves and the environment we live in. Through this workshop, discover daily self-care practices and considered cooking and food choices that enable us to connect deeper with ourselves and the world around us. Unearth simple, logical wisdom that enables resilience, well-being, and self-love. Join Adrienne Shum (MSc, ALC) for an inspiring discussion on how the grounded, wise system of Ayurveda can be applied to your unique needs and lifestyle, and propel your journey towards wholeness. 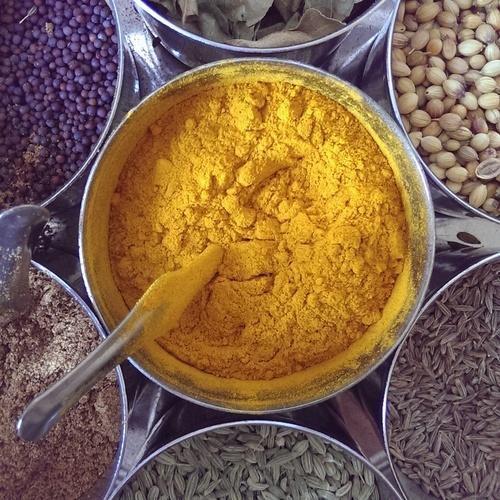 Ayurvedic nutritional counselling – book today! Personalised counselling is an ideal way to deepen your knowledge of Ayurveda and to learn how to apply its principles to your individual needs and lifestyle. A 60-minute Initial Consultation is tailored to attend to your specific concerns, such as designing an Ayurvedic meal plan or cleanse that suits your unique constitution, addressing specific health concerns, or establishing long-term habits that promote balance and longevity. Having both a certification in Ayurvedic Counselling and a Masters in Food Science, I am most interested in merging traditional healing practices with contemporary research to provide a modern, holistic approach to food, cooking and nutrition. Ayurveda emphasizes the harmony of an individual’s physical, mental and emotional beings for achieving optimal health. As the complementary system to yoga, it is a great way to support and further your work on the yoga mat or meditation cushion. Discover how yoga and Ayurveda can integrate into daily life, particularly when it comes to the kitchen and dinner table. Take the opportunity to work with me and learn how Ayurveda can support your journey towards balance and wholeness. Contact me here to book your consult today! Ayurvedic Counselling at Yoga Public! I am excited to announce that I will be offering Ayurvedic Counselling at Yoga Public, starting in November 2016! Sixty-minute Initial Consultations ($85) and 30-minute Follow-Up Consultations ($60) are available. Please visit Yoga Public’s scheduling page (find me under the Wellness tab) to book your appointment. Personalised counselling is a great way to deepen your knowledge of Ayurveda and to learn how you can apply it to your specific concerns and lifestyle. If you are interested in doing a cleanse or developing a meal plan to suit your needs, a consultation is the best way to go about inspiring change! If you have a particular concern you’d like to address, please contact me upon booking your appointment to let me know so we can make the most of our time together. Please note that all clients must complete a 60-minute initial consultation prior to booking a 30-minute follow-up. Full payment is required to secure reservation. No refunds. Please visit www.yogapublic.com for the studio’s full cancellation policy.